Happy New Year's Eve! I hope you all have fun plans for this evening. Whether it's reading your favorite book with a glass or two of wine, going to a party, watching the ball drop on TV, or just sleeping. Have a great time bringing in 2013!! This is my 2012 summary. I signed up for a few challenges, read-a-thons and read-a-longs, but needless to say, I didn't finish any of them. Yes, that sounds pretty bad, but in my defense, I read for fun so I like to read what I enjoy. If I veer toward a certain genre. it's hard for me to change gears and read something else just for a challenge. In 2013 I've pick two more general challenges so that I'll have more flexibility. Challenge Level: Gaslight – Choose 6 books to read. Tamara has completed her goal of reading 52 books in 2012! I challenged myself to read 52 books this year and I exceeded that! As of last night I finished the 56th book, which topped the 53 books from last year! Between my "day job" and my business, I'm unclear if I'll have even more time to read next year, so I'll keep the challenge the same with 52 books again. Hopefully I will read more than 52 in 2013! Read on to see my top reads of 2012. Synopsis: A novel set mostly in Afghanistan. The introverted and insecure afghan narrator, Amir, grows up in Afghanistan in the closing years of the monarchy and the first years of the short-lived republic. His best and most faithful friend, Hassan, is the son of a servant. Amir feels he betrays Hassan by not coming to his aid when Hassan is set on by bullies and furthermore forces Hassan and his father Ali to leave his father´s service. Amir´s relatively privileged life in Kabul comes to an end when the communist regime comes to power and his extrovert father, Baba emigrates with him to the U.S. There Amir meets his future afghan wife and marries her. Amir´s father dies in the U.S. and Amir receives a letter from his father´s most trusted business partner and, for a time, Amir´s surrogate father, which makes Amir return, alone, to a Taliban-dominated Afghanistan in search of the truth about himself and his family, and finally, a sort of redemption. This book isn't something I would have chosen to read on my own. A coworker talked to me about this book over and over...and over again. ;-) Basically I felt I had to add it to my TBR list at that point. Why not!? So, I added it into my book club's voting poll and it was selected by the majority. Thus, here I am, reviewing The Kite Runner. Synopsis: In search of a future that may not exist and faced with the decision of who to share it with, Cassia journeys to the Outer Provinces in pursuit of Ky — taken by the Society to his certain death — only to find that he has escaped, leaving a series of clues in his wake. I really wanted to like this book. Really. I keep reading all the hype about the series and comments that the books improve as you read on, etc...But in my opinion, this was not the case. This installment actually was worse than the first. Overall, the premise of the story was interesting, but the pace was unbelievably slow. Seriously, I fell asleep too many times to count during this audio.....and that just doesn't happen to me! Thus I was constantly rewinding to re-listen to parts that I fell asleep on. Question: WHAT HAVE YOU LEARNED FROM BOOK BLOGGING THAT YOU DIDN'T KNOW BEFORE ABOUT THE PUBLISHING INDUSTRY? Answer: I've learned a lot of things. I've learned tons of publishing terminology. 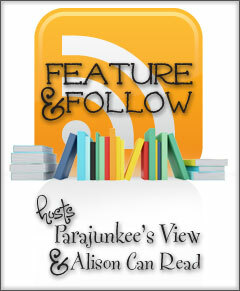 I've learned where and how to find out about new releases, popular books, book trailers, galleys and ARCS. I've even learned the steps to take if you want to get published. Not that I'm writing a book or anything, but it's nice to know that stuff anyways. Share what you've learned! Don't forget if you follow me, leave me a comment, and I'll be sure to follow back. Synopsis: When sixteen-year-old Tessa Gray crosses the ocean to find her brother, her destination is England, the time is the reign of Queen Victoria, and something terrifying is waiting for her in London's Downworld, where vampires, warlocks and other supernatural folk stalk the gaslit streets. Only the Shadowhunters, warriors dedicated to ridding the world of demons, keep order amidst the chaos. Clockwork Angel was pretty much what I expected. Good story, strong characters, development in both characters and plot. We have our evil and sneaky villain, brooding leading guy and of course our heroine who just finds out she's not human. I wanted to LOVE this book, but I ended up liking it instead. I wanted to feel the same excitement about this series that I felt for The Mortal Instruments series. Instead of excitement, I almost felt like I was reading City of Bones in a different time. I can draw similarities between Tessa and Clary just as I could between Will and Jace. My main issue is that I don't know if I like that the two books are somewhat similar in that manor. I was hoping for a totally different experience, and to an extent, I got that. In my opinion, the main two characters Tessa and Will seem way too similar to Clary and Jace. Not physically, as they don't look alike. Emotionally, in their developing love/hate relationship, and even their personalities they seem somewhat similar. I stumbled across this and thought to share for two reasons. One, I heart infographics! Two, love audiobooks! I think they are an awesome way to supplement regular reading. Perfect those times when you're just super busy and don't have time to sit and read, like the holiday season. They're great on the go! Listen in your car, on your MP3 player or smartphone while you're out shopping, or on your tablet or PC while you're cooking, or wherever suits you. Click the infographic and be taken to Ambling Books for some free audio downloads! Another great source, which I use a lot, is Overdrive. It's an both on-line and an App you can download on your PC, Laptop, Tablet, Smartphone (both iphone & androids), etc. I really get a ton of use out of this app! Overdrive is linked to many sources including your local library's online media. Both ebooks and audiobooks are available. Check it out! The Twilight Saga ''White Collection'' Boxed Set, by Stephanie Meyer (YA Urban Fantasy/Romance) - I already own these books, but I just love the look of this limited edition white set. I may gift them to someone. Shiver, by Karen Robards (Romance Suspense) - This story sounds intriguing. The cover art is nice also. Listed are the books I plan on reviewing this month. I didn't get to Clockwork Angel in November, so it's on again for this month. If I enjoy it (which I'm sure I will), I'll read the next book in that series also. This list is a bit aggressive for the end of the year, but I want to reach 60 books! I'm crossing my fingers that I can get though it all! My haul was supper light last month. I received Size 12 is Not Fat, by Meg Cabot in the mail via Paperback Swap. I heard some good things about this series, I'm going to try this series out.